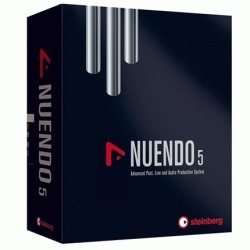 Steinberg has decided to release the 5.1 version which now supports MXF file formats plus other useful improvements to further enhance the workflow of Nuendo users. 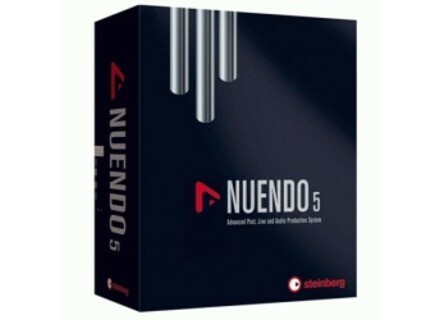 Visit www.steinberg.net for more details on Nuendo 5. More on the Moog Filatron Moog has officially confirmed the upcoming release of its Filatron app. Five 12 Numerology 3 Pro Five12 has announced that Numerology 3 can be downloaded now in preview release form, featuring a new UI, Audio and MIDI recording on every stack, OSC support, Sequencer Evolution, and a built-in Stack Library are just a few of the many new features available in Numerology 3, with more on the way. Mixing and Mastering with T-RackS - The Official Guide IK Multimedia and Course Technology PTR announced the release of the official mixing and mastering guide for the T-RackS software, "Mixing and Mastering with T-RackS, The Official Guide", written by producer and audio engineer Bobby Owsinski.